Throughout the month of February you and your dog can join the DMRF Dogs for Dystonia Virtual Walk. Anyone who has a dog can participate. Once you register and send in a picture of your dog, your dog will be added to our Virtual Walk Team page. 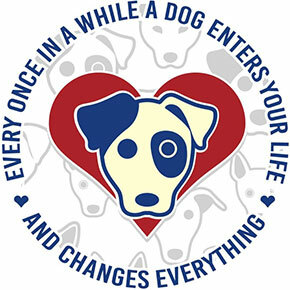 Then, your friends and family can show their support by making a donation in honor of your four legged friend. For a $20 registration fee all virtual Dogs4Dystonia participants receive a "Thank You" package that includes treats for your dog and for you. Dogs who Raise $250 – Custom magazine image featuring your dog. Dogs who Raise $500 (or more) – All dogs who raise $500+ will be featured in the Dystonia Dialogue! After registering, you will be sent a welcome email with instructions on how you can add your dog to our Virtual Walk Team page and how to let your friends and family know how to support your dog. You will need to send in a picture of your dog (with or without you). This year we would like you to share stories of how your dog brings out the best in you. If you submit photos of your dog, you agree to allow DMRF to display any submitted photos in print, on our website, or other electronic outlets.